Location, location location! Gorgeous updated BRICK Mid Century Mod with RARE awesome 2CAR ATTACHED GARAGE! Sensational block! Steps to the park! 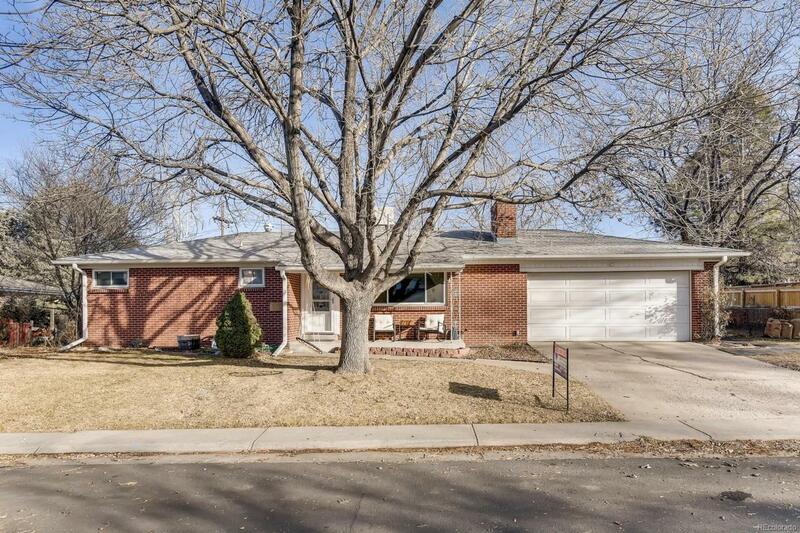 Close to Cherry Creek! Decorator touches throughout. Gleaming hardwood flooring. Lovely remodeled kitchen with beautiful stainless appliances, sleek gray cabinetry, stylish backsplash and elegant quartz counters. Remodeled bath with beautiful tile work. Custom paint finishes. Designer light fixtures and canned lighting. Upgraded windows. Finished full basement! Windows, roof, gutters, heating, swamp cooler and appliances are not very old. Beautiful cozy fireplace. Charming back yard and covered porch for summer barbecues. This is a fantastic home!